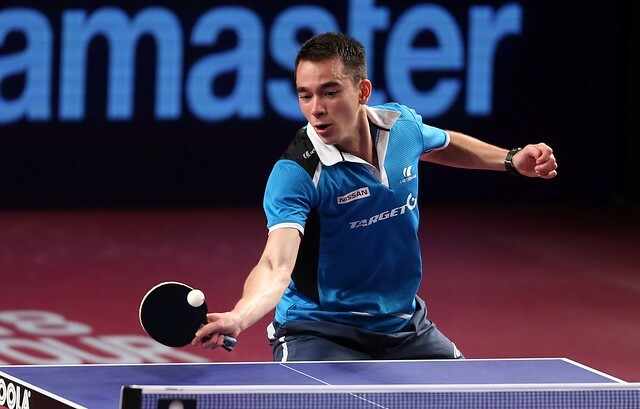 Runners up in late January in Hungary, Chen Ke and Wang Manyu climbed one step higher on Sunday 11th March at the Seamaster 2018 ITTF World Tour Platinum Qatar Open in Doha. Not only did they secure the Women’s Doubles title, in the final, they beat the pair against whom they had suffered defeat some six weeks earlier. The no.8 seeds, they overcame their colleagues Chen Xingtong and Sun Yingsha (8-11, 11-2, 11-4, 11-4). Chen Xingtong and Sun Yingsha made the better start; in the opening game they established a 7-3 lead, the gap was narrowed to 9-8 but never equalled. A narrow defeat, the reverse stung Chen Ke and Wang Manyu, they won the first seven points of the second game. In the third game it was Chen Xingtong and Sun Yingsha who made the better start, they went ahead 4-1 but then promptly lost the next 10 points! Chen Ke and Wang Manyu held a two games to one lead. Gaining in confidence, Chen Ke and Wang Manyu won the opening two points of the fourth game, Chen Xingtong and Sun Yingsha called “Time Out”. It was to no avail, Chen Ke and Wang Manyu were not to denied. Confidence grew in the hearts of Chen Ke and Wang Manyu, it drained from the bodies of Cheng Xingtong and Sun Yingsha. It was the second career ITTF World Tour Women’s Doubles title for Chen Ke and Wang Manyu; in 2014 they won in Korea.